The following is two different views of one profession. These are not stories of specific people, however they are no doubt played out by millions each and every day. An Executive Chef and a Line Cook in a professional kitchen are two different people, bound by one common goal. And each day when they put their uniform on they embark on a journey that will take two completely different courses but they cross paths several times. I truly believe that the food business is less about food than it is about people. What follows is what I see day to day, and what I feel all the time. I hope you enjoy it. The alarm clock goes off, and it’s another day. Another chance to be a Chef, and you would rather be nothing else. You fix some coffee for your wife, and maybe get to fix breakfast for one or all of your children. Some days you will have an hour before you have to put the uniform on, some days you will have more time than that. You know as soon as you open your eye’s that the clock is ticking. Each moment of enjoyment you get to spend with your family will be ran through your mind on and off for the rest of the day, and most of the night. Once you get dressed, once you put the uniform on the mental aspect of your duties as a Chef are there, and they won’t go away until you return from work and you’re able to set them aside for a few hours again. You know in your mind what you have in front of you for the day, however when your Son or Daughter ask you if you have to go to work in your heart you want to say “not today”. You hop in the shower and you really start to transform from Dad, or Husband into Chef. The issues you have to take care of during the upcoming work day appear each time your hold your head below the water to rinse the shampoo from your head. You get dressed and head to work hoping that during the ride to work the radio will keep you occupied mentally so that your brain doesn’t get too tired, too fast. Before you know it you’re there, and it’s time for your day to begin. 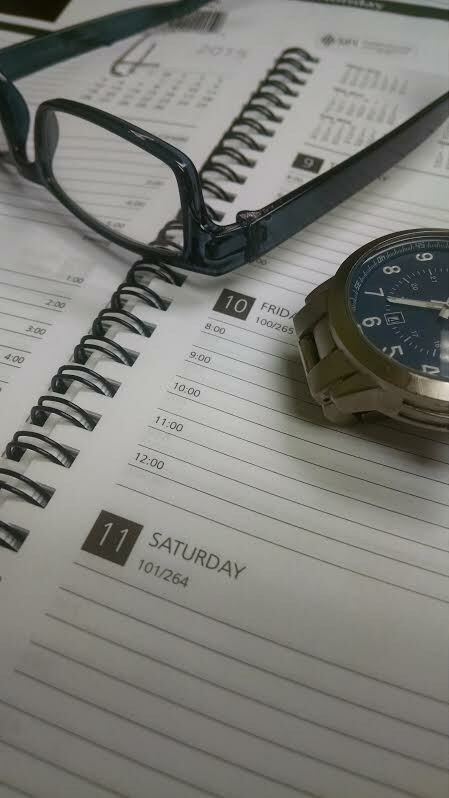 You start your day getting on the computer to check hours and find out who is going to be close to overtime, try to figure out why they stayed until 1:00am on Tuesday night, and why you weren’t informed of it. As you scroll through the names and numbers your phone is continually making different sounds from the incoming text, emails, phone calls, etc. Each one of them has someone on the other end that hopefully understands that you may get back to them immediately, or it may take a few hours. Deciding what is pressing is something of a balancing act that changes from day to day. You finish looking at the names and times, and write a few notes so that you don’t forget to mention to the Chef De Cuisine that he may be working the salad station on Saturday evening since he hasn’t regulated his hours properly. As you make your way through the first kitchen you notice a plate with a new dessert and a small piece of beef with some sauce on it. This is obviously meant for you to taste and approve of make suggestions to. Upon tasting the dessert you immediately think of the upcoming reception on Saturday night, and you hope that the baker also had the same thing in mind. Either way, that is what is going to be served. The beef on the other hand is tough, the sauce is great but the meat wasn’t cooked properly at all. Hopefully this was just a small piece that was cut off before the product was finished cooking, optimism is a valuable trait to acquire. The kitchen is silent and empty, you will come back through here before too much time passes to make sure the beef is treated properly, but for now its time to go across the building. As you reach to next kitchen you have had a six minute walk to switch gears mentally and reset your brain to think of food in a different way. The skill set in this kitchen is higher, the expectations are higher, and so are the prices. The people who work in this kitchen don’t work any harder than anyone else, they just have a better understanding of how to get food to perfection more consistently than the others. As you go into the kitchen you grab a stack of spoons and immediately head toward the sauce pots that are simmering in the back of the kitchen. A few taste, and a couple of questions or comments later and you’re on your way to the next person. This kitchen is in full swing for this time of day. Service is still five hours away, but the buzz in the room is already evident. You stop by and address everyone, ask how they are, if there is anything you can do for them. “How was the concert you went to”, “How is that new baby”, “Let me see that burn you got Saturday”. Just when you think you’re done in this kitchen you hear “the” word for the first time of the day “Chef; can you come and take a look at this please”? Now the word has been said to you today already. But there is a difference between “Good morning Chef”. and “Chef; insert question here”. You’re called this all day, by several different people all in different positions. But when a cook, who is doing what they do best and they’re looking for your approval you can actually hear the meaning of it when it is said. I personally do not require my employees to call me “Chef”. Those who work in kitchens professionally understand the need, or lack thereof for it. The people in kitchens who understand it, and respect you for how you do your job, instead of your job title, they are the ones that you can hear in their voice what the term means. At this point your cell phone has made more noises than you’re comfortable with. It’s time to get in the office and take care of some of these issues. You have two text of people wanting reservations, and you know they expect some form of special treatment. You have a voicemail from a vendor wanting to do business with you. You put some thought into this and realize that you should call a Chef from another establishment and see if this is someone you can trust, and if their product is something you even want to consider. At some point before the weekend is over you will be putting your name, and your reputation on the line by trusting a food provider, is this person worth the risk? Or do you just stay the course inside your comfort zone? Sometimes this decision can come down to something as silly as what you had for breakfast and how well it is setting on your stomach. Perhaps if that piece of beef from earlier would have been better to where I wasn’t concerned about it I would be willing to roll the dice, but for now; not a chance. You open your email to see seventeen unopened mails and unfortunately none of them are spam or junk mail which means that you will need to read them, more than likely respond to them and certainly make three or four phone calls to insure the rest of your day won’t be spent in dealing with these issues. There will be more to deal with, and this will absolutely repeat itself tomorrow, but the goal is to get through today. The mission if you will is to please everyone who orders something off of one of your menu’s today, so you need to get as many things off your mind as possible in order to be able to focus on the things that are important. The tough beef is important, time to walk back across the building. Your second time entering this kitchen is different than the first. The kitchen is full now because the team smoke break is over and everyone is back to putting forth an effort to make sure things are right. You pay attention to the look on everyone’s face knowing that whomever put the items on the plate is looking for approval, the dessert person is easy, the beef that is the question thats the person I’m looking for. Sure enough my first initial guess is correct, and there is an hour of cooking left, the cook just wanted to make sure the sauce is what I had in mind. Another problem averted, it’s time to take a walk with the line cook that was two hours late yesterday. The fear in his eye’s is evident from the moment you say their name and ask them to come with you. Your first goal is to put them at ease, and make sure all is well with them. Cooks work best when they can control the things going through their mind. What happens to them before and after work can control the quality of their work and someone working in fear is more likely to cook food poorly than someone who is focused and confident. Your hope is that it is something that you can understand and relate to, because if that is the case you will be able to overlook it, comfort them, perhaps even help them. If that happens to be the case, you will have given this person something to feel good about, something that will help them see that everything they do is important. The food they cook today will be better, and tomorrow they will come in and give every effort they have to be better than they were today. The worst case scenario is that he just stayed out drinking too late, and if this is the case there can be no sympathy or understanding. If he is doing something in his time away from work that is going to affect they way your patrons experience unfolds then the items he is responsible for are going to dissolve to the point where he is better served to be washing dishes until he has his priorities straight and has proven that he can be trusted. A basic understanding of someone wanting to have fun is easy, but you can’t put yourself in a position that will endanger you and your’s. Fortunately for you, and him the bus he was on broke down and everything was beyond his control. His fellow line cooks covered his station prep, and everything was normal at the opening of service. Before you know it, it is time for dinner service. There is a noise in a kitchen that can barely be heard from several different places within the room, however all of those walking around in the matching uniforms hear it no matter what their doing. It’s the sound of the printer as it prints out a ticket telling you what has been ordered by the patrons in the dining room. Some of these items take twice as long to cook as others, however they have to be placed in the window at the same time. The expediter takes his ticket and does a visual check on the cooks working the stations, and then calls out to them what is on the ticket. You as the Chef take a look at the stations and listen to the expediter at the same time. You see the cooks placing skillets over fires, and steaks on to grills and realize that they’re ready for the day. You still have time to call a vendor and place an order for the fresh fish you will need tomorrow. For the previous three days you have had constant thoughts about what you want to run as your special on Saturday night. You know this is the night that all of the serious diners show up, this is the crowd that expects your best. These are the people who are coming here because of what you have provided them with in the past, or to test you to see if you’re as good as they have heard. You’re either trying to make sure someone doesn’t feel like the last dinner you served them wasn’t dumb luck, or attempting to win over someone who no question has a level of doubt in what you can place in front of them. The fresh trout you have had on your mind is the correct answer to both of these scenarios. The potato corn hash you have in mind will go perfect with it, and the butter braised leeks will send it over the edge. The only problem is that the fish didn’t come in to the vendor in a manner than he is comfortable with. He isn’t willing to sell it to you because it isn’t up to the quality standards that he knows you expect. You’re thankful that he is open and honest with you, and the decision you made earlier to not call that new vendor makes all the sense in the world now there is no need to risk the relationship you have with the person you have on the phone. But what about the special? What does he have that would compare, or do you have to go a completely different direction? The flounder he has on sale sounds great, I will come up with something special with this as the day goes on, perhaps run it by the Chef De Cuisine and no doubt come up with something better than the trout dish I had planned. You finish up your phone calls and decide to see how the flow of dinner is going in both kitchens. As you walk through the first kitchen you notice that the salad station cook is busy flirting with one of the wait staff, meanwhile he has two tickets hanging that he hasn’t even looked at yet. You ask him to step aside so that you can take care of the people that are paying his paycheck and make the salads yourself. You make them look exactly as you have shown him how to do them in half the time that it takes him to do it. If you look at him and he isn’t visibly disturbed by this, you know in your heart he will be replaced within a week. If he understands the nature of his mistake, what just happened won’t ever be an issue again. You just demonstrated why you’re there to the newest person working a station. It’s a lesson that all of the other cooks have seen before, they may have let this happen on purpose, or maybe they were just too busy with their own work to notice. But they all know that this member of their team needs to be watched, and from this point forward they will police him for you. You can put your trust in them with confidence and just make sure that each time you come in this kitchen to pay attention to this station first. Time to move on to the other kitchen. This walk across the building is a nice one, you meet a nice couple who have just finished having dinner and they notice you and want to thank you for the special treatment they received. You have a sense of accomplishment run through you that can’t be described. And you make mental notes of who you need to thank for this. The people who physically made this happen always need to be rewarded when something like this happens, a thank you and a pat on the back can go a long way. You think back to what you felt, and what helped you get through your day to day when you were in their shoes. And you hope that you can give them the same feeling that you just had. As you continue your walk you hear a laugh, or a voice that reminds you of home. Your daughter, son, or wife comes to mind and you remember why you’re here. The balance of what you do, and why you do it is a constant battle. Being a Chef isn’t a job, it’s a lifestyle; you do what you do for selfish reasons. In simplest terms you’re a servant and you enjoy it. You like to pleasure people and you have a passion for taking food from one state to another in order for someone to enjoy it as a meal. But within that means that you spend too much time away from your family and those that love you the most. It’s not fair to anyone involved, and the reason you’re home two hours later than what you expected can’t, and shouldn’t be explainable. When you’re on your day off and at the store and your mind starts wandering off because of the amazing looking plums you saw in the produce department, it isn’t fair. When you get out of bed at two in the morning because you just realized you need to add two ounces of white balsamic vinegar the next time you make the sauce you made three days ago and it will be perfect and you want to write yourself a note, it isn’t fair. When you miss a tooth being pulled, a scraped knee, or a time when your wife needs a hug and you know you won’t be home for three more hours; it hurts. And you just hope that you can make the most of the time that you do have, and be the person you need to be when you are home because that is more important. The family of a Chef makes a sacrifice every day in order to let the one that they love chase the passion that they have. There isn’t anything balanced about it, and this is something that makes a Chef as selfish of a person as there can be. Walking through kitchens and dining rooms you’re looked up to, and respected, the only reason this is possible is because of those who are waiting on you at home. When you can’t keep that in perspective, you’re not doing your job as a Father or Husband. Those things can never take a backseat to the pleasure you get from providing the best scallops someone has ever tasted in their life. There is no comparison, and there never will be. Reality check in order, you’re now walking in the next kitchen. 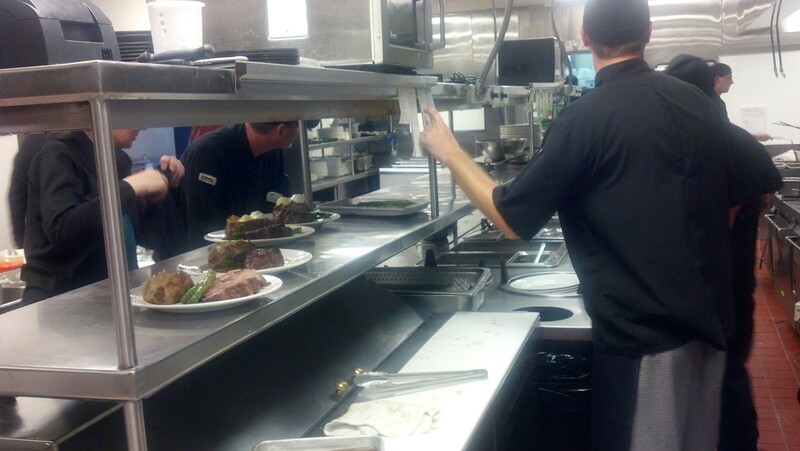 Dinner service is in full swing and you stand back a little to check on the line cooks. The first one you notice is the grill cook turned around to gather a mental checklist from the tickets hanging in front of him. Sweat is running down his face and into his eye’s. He has no idea who is walking in or out of the kitchen. He only hears the expediters voice asking how much time is left on the ticket for table twelve. You can almost feel what his brain is processing, and it almost isn’t fair that you have a clear enough head to realize that the mid-rare filet is ten seconds from being the perfect temp. In his mind the mid-rare is done. No more effort from his brain is required for it to be perfect for the patron. You’re getting anxious for him to turn around and put it in the resting area. He is trying to get an “all day” count on the ribeyes for the table of twenty who want everything right now and they want it to be perfect. What they will never realize is that in order to make the perfect medium ribeye it takes more than four minutes, that and that there is no such thing as a medium “no pink”. Just before you say something to him he turns and picks up the mid-rare filet and places it in the resting area. He knows what he’s doing and he is four steaks ahead of where anyone else would be. The first three tickets aren’t worth his attention anymore, getting the steaks from the grill to the resting area will be an reflex more than an action. You call down the line and offer encouragement to all four of the cooks that appear to be performing some special dance that they have choreographed. They speak in a language that only those who work in kitchens would understand, and all of the food comes to the window when it should. Having a team work this well together is a thing of beauty and they do this every night, and each night they get better. The paycheck they get each week could sometimes be considered a slap in the face compared to the amount of effort they give each day. But they show up every day, and do it again and again and always are able to get a smile from each other from their inside jokes and from talking about the food in their language. The Chef De Cuisine, comes over to ask how your day is, and to see if the trout we had talked about the day before would be delivered the next day. When you inform him that it will be flounder instead a huge smile comes across his face as he tells you that he would love to do a proscuitto wrapped flounder over a creamy sweet corn polenta with some of the beautiful asparagus that came in this morning on the side. You grab a mental picture of it, and tell him to come in early tomorrow so that you can make one just to make sure all of the components work properly. He will be there, and have everything ready to cook, it’s not something you even need to let enter your mind because he wouldn’t pass up the chance to put this dish together due to the mental effort he has already used on it. Before you realize it, you have been at work for ten hours. All of the paperwork you needed to do is turned in, the orders have been placed and dinner service is running smooth everywhere. You start your journey to the car and get stopped by a server. No problems this time, he just wants to let you know that the customers raved about the beef dish they had, it was fork tender and the sauce was out of this world, this provokes a smile and a mental note to pass this along to the appropriate cook tomorrow, but for now it’s on to the car. Should you stop at the store on your way home, is there something one of your kids need you to bring home with you? No need in wasting time thinking about that because the twenty extra minutes you spend stopping at any store is twenty more minutes you can be there, at home, with them. Your day as the person in charge, the one with all of the answers is over. Now you’re a Father, and Husband and your feet hurting, and headaches seem to go away. Bed time for the kids is not far away, and you hope to have a conversation with your wife that will last more than ten minutes, and be about a subject other than food. By the time your head hits the pillow you have a feeling you will not be able to go to sleep, but before you even get comfortable you’re asleep. You wake up and realize that you probably should have went to bed two hours earlier. The alarm clock says that it is time to get started, but you know you could easily sleep for three more hours. It’s not that you feel bad, but when you go to set up you realize how tight the muscles in your back are, and you hope the hot water from the shower relaxes them a little. When your feet hit the floor, you remember that this time yesterday you decided to get to bed earlier the next day so that you could get new shoes before you started your work day today. Too late for that, you can make it another day on the aching bases that you stand on all day. Perhaps two pair of socks will help? No that just makes it that much more painful to try and take them off at the end of the night. A cigarette and a hot shower follow and you try to figure out if your stomach can handle an energy drink now, or if it should wait until you’re on your way to work. There is a moment while taking a shower where everything is ok. The hot water has made your back feel a little better, and you just happened to figure out a way to stand that doesn’t hurt your feet; you enjoy that for a moment, and then lift your head up to let the water hit your face and all the pain comes back. At some point in the day the true reason you put yourself through this will show itself, it may come about easy, or you may have to really search for it. But you know that it will be there, so you keep pushing yourself through your routine in hopes that it comes earlier rather than later. Now it’s time to climb in the car and make your way to work, when you hit the seat new pains reintroduce themselves to you. It’s time to put the insignificant things aside and start your day, enough is enough, lets get to work. You pull into your parking area and realize once again that the walk you have to make is far too long. The fact that you have to walk as far as you do just so the patrons that you will be cooking for can park right next to the door at this point seems abusive. However for some reason once you enter the building every motion that you make will simply be to please them. This internal fight is something that never goes away, but each time their pleasure wins. As you approach the back door the sights and smells start to take over and you become what you will be for the rest of the day. Take one last look at the sunlight, and take your first smell of the grease trap setting beside the dumpsters that were emptied an hour ago. You enter into a place where you’re comfortable, a place where you belong and a place where you will be the reason why someone will have a memorable experience, something that they will remember for a long time to come. They will never know your name, but you will know what you did for them and for now that’s all you need to be able to do. So when you finally make your way to the kitchen, and mentally absorb what all you need to accomplish before the magic hour arrives, there is a rush of emotions that run through your body. Reality smacks you right in the face when you realize just exactly how much effort it is going to take to get ready more often than not. The prep list you left for those that have already at work for six hours is complete, except for one thing that is marked as “station prep”. That means it is your responsibility, and even though you tried to politely ask someone else to do it by putting it on the prep list, nobody has your back today as prep was way too heavy to do a solid for any line cook, only the essentials were done so that quality wouldn’t become an issue. You think back to that twenty minute stretch the night before and reassess your decision to set on a milk crate to keep some weight off your feet, and realize that you should have went ahead and did some prep to stay ahead. That prep would be enough to get you through the night, but it isn’t done. You’re feet do not feel any better than they did, they just haven’t taken enough abuse for the day. And when the Chef walks by thirty minutes before the magic hour, the prep will be done. It’s the first internal test of the day, you’re making promises to yourself that you have no intentions of keeping. You haven’t broke a sweat yet, and your sense of pride has no chance of showing up at least until twenty minutes after you have gulped down family meal. All of the proteins are cut and put in the lowboy, the asparagus is peeled and blanched perfectly, your stomach is somewhat full from family meal/breakfast and it’s 4:15pm. Just enough time to smoke a cigarette, wash your hands, get you a drink and be back on the line. You’re about to embark on a six hour dinner service that is going to make your feet hurt worse than they already do, your back will send pain to parts of your body that you normally don’t even think about. But at some point during the night, you will put a steak in the window and you and the Chef will make eye contact and he will say “Beautiful, perfectly cooked… excellent job” and that makes it all worth it. For that moment, there is no pain, no sweat, no heat. That is the moment that makes you do what you do. Now service is over and you’re starting your cleaning routine. You know that you will be the person who has to come in the next day and you want everything to be right. But the thought of a cold beer, or a warm bed starts to creep in your mind. The fatigue that your body feels is over ran by the adrenaline that your mind has. There is a certain type of rush, a sense of accomplishment that can’t truly be described. You just spent perhaps ten hours pouring all that you have in you to please people in a dining room that you will never see or meet. You take the trash out and are reminded of the smell that you noticed earlier in the day, a moment when your clothes were still dry, not soaked in sweat a time when the sun was out and you still felt like a human being. It’s better just to put that memory out of your mind and keep working to put this day to an end. The thought of enjoying a few cold beers, and crawling into bed is what drives you at this point. The protein counts, and prep list being filled out are automatic at this point, the only challenge left for tonight is the walk to the car and that will be easy compared to what the last three hours have been. When you wake up in the morning you will put your body and mind through the same punishment that you just got finished with. And for an unknown reason at some point between now and then the fact that you want to do better tomorrow than you did today will become a reality. This is what separates a cook, from a good cook. A cook follows instructions and puts food in the window, a good cook cares about what he or she is putting in the window and takes pride in every action they take. They don’t treat their bodies as well as they provide for others wants, in fact the wants of others outweighs their own personal needs. Once you have passed out for the night, you will wake up, take a much needed shower, get dressed and everything will be ok. Once you put the uniform on, who you are is defined and what you do for the next twelve to fourteen hours is what you live for.